If you are looking to get shredded and burn fat, then RAZOR CUTS is the perfect fat burner for you. In fact, this is no ordinary fat burner. RAZOR CUTS obliterates intramuscular fat, ignites your metabolism and flushes out excess water. This three pronged attack, will have you looking ripped in no time. Get that ripped and lean body that you have always dreamed of. RAZOR CUTS features a unique blend of fat burning ingredients that will have you looking like a fitness model in no time. Ingredients like: Green Tea, Chromium, Guarana, Garcinia Cambogia, Yeba Mate, White Willow Bark, Grapefruit, Apple Cider Vinegar, Cayenne Pepper and much more. 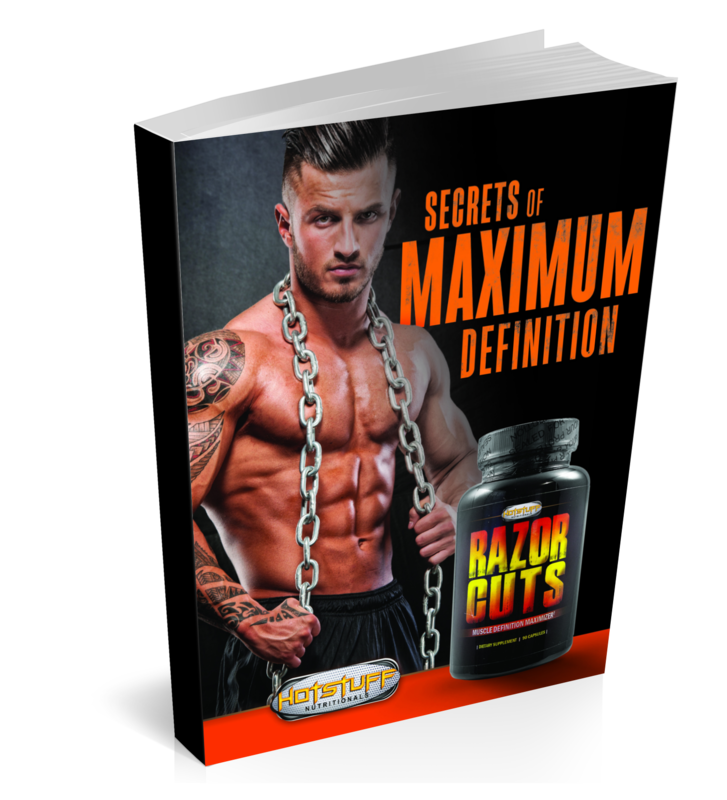 Without a doubt, RAZOR CUTS is the most complete definition maximizer on the market today. In addition to shredding the fat, RAZOR CUTS boosts your metabolism which translates into burning more calories and producing more energy. Enjoy that energy boost that will keep you wide awake throughout the day. No more mid-day naps. The flushing of excess water helps to prevent any puffiness in your muscles. RAZOR CUTS comes in 90 tablet bottles.